Owing to David’s illness no further visits are planned at the moment, they are hoping to continue later in the year. Please do not contact them at the moment, info will be given on here or in the Newsletter nearer the time. This group was previously called How do they do it Group 2 and explores how things are done. Visits organised so far are listed below, you must let them know if you are interested to reserve a place, it will be a first come basis for places. “How Do They Do It ” Group 2 had a very enjoyable tour of the Malt Cross Victorian Music Hall in Nottingham on the 12th November. They had a comprehensive tour of the building and caves and heard ribald tales of drunkenness and debauchery, nothing changes! Visit to the British Geological Society, Keyworth. How Do They Do It group 2 recently had a very enjoyable and informative tour of the British Geological Survey Group based at Keyworth. They were given a complete history of the group and a comprehensive insight as to all the work they carry out. The tour guide made them all “feel at home” They were shown core samples of holes drilled all over the British Isles and from places such as the Arctic Circle. The tour lasted over 2 hours but was so interesting that the time seemed to fly by. We would recommend the tour to anyone. 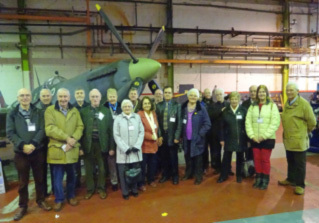 The group recently had a fascinating guided tour of the Rolls Royce Heritage Site in Derby. They saw engines ranging from the old piston type to the modern jets. A Blue Streak rocket was viewed along with its nuclear warhead. They sat in the cockpit of a Canberra Bomber and our photo shows them in front of a Spitfire. The tour lasted nearly 3 hours, but, like the engines, time seemed to fly by. The Past and Present Group undertook their first of three visits to Radio Nottingham and the East Midlands Television Studios. They were made very welcome and had a comprehensive tour of both studios, sitting in during a live radio broadcast. They had a long talk with the “Weather Girl” whilst sitting on the famous red settee used by the tv announcers. 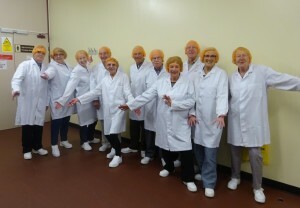 It really was a fascinating insight as to how programmes are produced. Everyone came away with a “goody bag” to remind them of their visit. It was greatly enjoyed by all members. 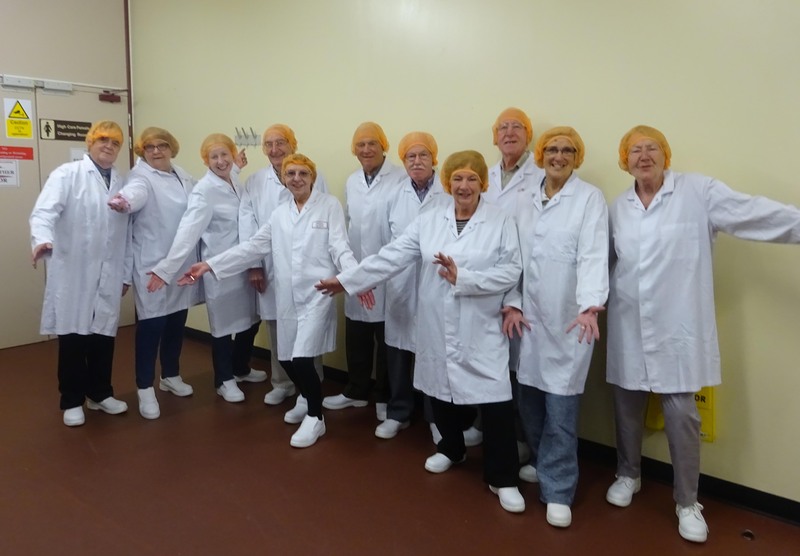 We would certainly recommend the tour to everyone lucky enough to get on a visit. 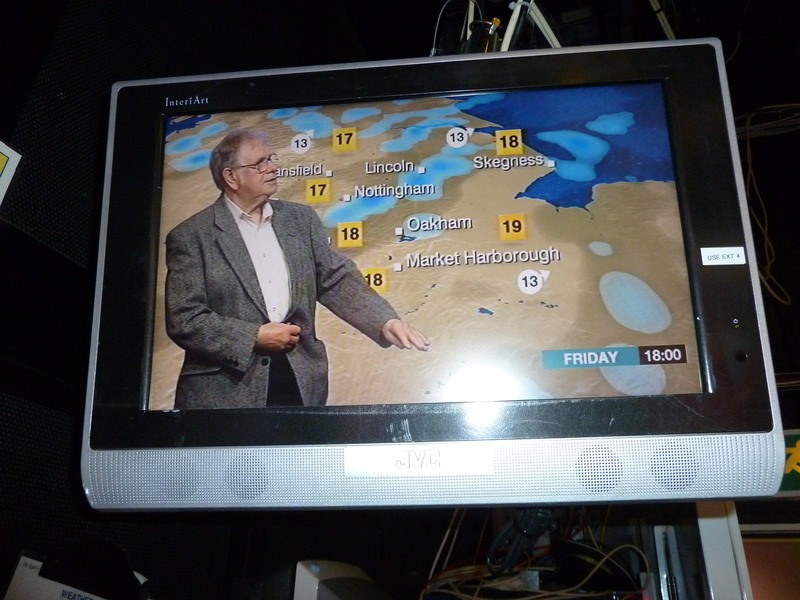 Do you recognise this young man who went for an audition to be a weatherman on East Midlands TV? Or was it taken on Past And Present group’s tour of Radio Nottingham and East Midland TV studios tour? Everyone thought it was great. 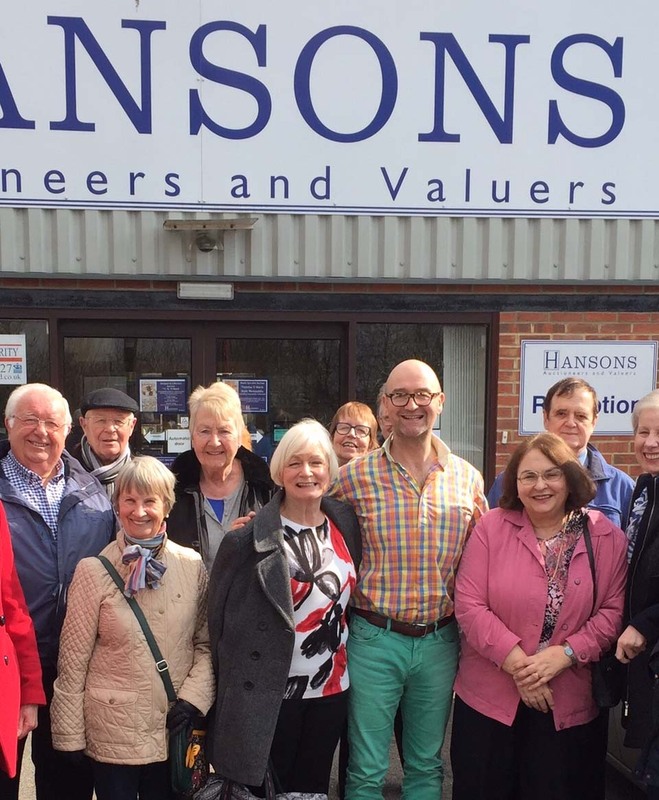 They had a very enjoyable trip to Charles Hansons Auction House where Bargain Hunt was filming. The group where very close to the action. This was followed by a lovely lunch at Sudbury Prison. All had a great day! Photo shows the group with Bargain Hunt expert David Harper.